There are weather related power outages at some locations across our network. Please be aware that today’s storm has caused some power outages and issues that may affect some sites. Currently we are monitoring outages at group homes, St. John Vianney, Divine Providence Village and St. Rose of Lima. 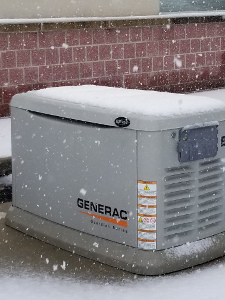 Though St. Rose is one of our main data centers; our backup power, batteries and generators are working well and are keeping all of the network resources (email, Internet, phones etc.) available. We will send out another notice should the status change. Thank you.